My friend Brijesh Patel and I, were working on this module from at least 4 weeks, and we planned to publish this Sitecore Module right on Thanksgiving, as a vote of thanks to Sitecore and the great Sitecore healthy and helping Community. Sitecore Community Project Templates, is created by 2 Sitecore Community members, and its for the Community! All passionate developers have one thing in common, learning a new thing and then doing a small demo regarding it to understand its core concept. — isn’t it? And, while doing so, we create a Sitecore solution and a Visual Studio project solution. 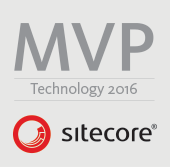 Now, for our help, Alen Pelin has already created SIM, which helps in setting up a Sitecore solution very quick. But still, we spend a lot of time in setting up the visual studio solution. We thought, why not create a set of project templates (for individual projects) and starter kits (a project solution containing multiple projects) so that the time to setup things is set to minimum and a developer only concentrates on one thing — The POC of his/her learning! With this noble cause, started a journey of formulating the projects and what you see is a very basic first cut of the project templates. We have a future plan of upgrading these and making it very useful not just for POC stuff, but even for live projects. We dream to make it so worth of use, that for every Web project / Project solution that any Architect/Lead Developer of a project makes, he/she uses Sitecore Community Project Templates! And as you know, nothing can be achieved by a single person — IT NEEDS A TEAM TO ACHIEVE A DREAM! — THE BIGGER THE DREAM, THE MORE IMPORTANT THE TEAM! And hence, we need your help! We need a lot of suggestions to be incorporated into the Project Templates and if you want to contribute, just go ahead and fork the Development Branch on GitHub and submit your changes back, we would be more than happy to accept until there are any breaking changes or malicious code! Oh, you exited about it? Want to know more about the module? Varun Thanks for sharing the knowledge. I installed the templates today and it seems to be promising. It seems to follow the same pattern that we created here. If possible I would suggest to include a basic example(like retrieving text/title field on Home Item that comes with default Sitecore installation) which touches all layers(I am aware that it’s not going to work but at least it gives a direction to newbies).